As a computer scientist, you know the United States is a hotbed of activity for your industry. It is why you have decided to pursue permanent residence, as you have determined it is the best way to advance your career. There is just one obstacle remaining – the NIW approval process. Perhaps you are a cybersecurity researcher with plans to revolutionize threat detection. You might plan to explore the growing frontier of machine learning and artificial intelligence. You may seek to create advanced simulations to help other scientists better understand their own field. 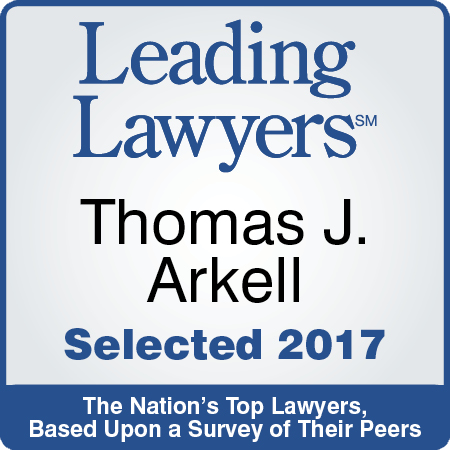 Whatever your focus, Thomas J. Arkell can help. Below, you will find details on what some of the petitioners he has assisted in the past have accomplished. This will give you an example of what’is necessary for your own petition to succeed, in addition to what careers and opportunities may be available. The PhD students, postdocs and professionals listed here work in fields ranging from government to humanities to the sciences. Their projects are just as diverse. They include advanced cybersecurity techniques to protect critical infrastructure, improvements to computer-assisted engineering and mathematics, and new simulation models to help computational science assist in fields such as biology, chemistry, and quantum physics. Cyber security research related to securing our nation’s smart grid. USCIS approved a petition for a Research Scientist delving into cyber security at the Information Trust Institute – specifically securing our nation’s smart grid. Addressing the challenge of how to protect the nation’s power grid by significantly improving the way the power grid infrastructure is built, making it more secure, reliable, and safe is the basis of this research. The National Science Foundation and Department of Energy-funded project, with support from the Department of Homeland Security, recognizes that today’s quality of life depends on the continuous functioning of the nation’s electric power infrastructure, which in turn depends on the health of an underlying computing and communication network infrastructure that is at serious risk from both malicious cyber-attacks and accidental failures. The beneficiary’s I-140 petition was approved in 153 days. Software engineering for the digital humanities. 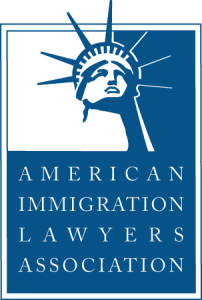 USCIS approved a National Interest Waiver petition for a research programmer working in the field of software engineering and specifically digital humanities. He developed the web-based Meandre Workbench workflow authority application. The NIW petition recognized petitioner’s work as lead designer and developer for the Software Environment for Advancement of Scholarly Research. It is designed to enable digital humanities developers to rapidly design, build, and share software applications that support research and collaboration. Computer science in the areas of smart grid security and control systems security. USCIS approved a National Interest Waiver petition for a postdoctoral research associate working in the field of computer science. Petitioner works in the field of computer science, specifically in the areas of smart grid security and control systems security. His important research also extends into security for the rapidly developing cloud computing system. Petitioner is currently focusing his research on development of a centralized access control solution for industrial control systems like SCADA (Supervisory Control and Data Acquisition) and DCS (Distributed Control Systems), facilitating least-privilege access control across the distributed control systems. The NIW petition stated that petitioner’s work is answering the need for an in-depth understanding of security requirements for various types of information systems, construction of prototype implementations, and performance and usability of proposed systems. In addition to petitioner’s current research efforts in the development of important cyber security systems, petitioner was the first to demonstrate an indirect attestation paradigm that allowed end users the ability to define their own acceptable platform configurations. This development allowed end users to develop solutions to critical problems associated with Trusted Computing attestation. Computational science and scientific visualization in the areas of visual analytics and simulation. USCIS approved a NIW petition for a research scientist working in the field of computational science and scientific visualization. Petitioner works specifically in the area of visual analytics and simulation. His key research contributions in the areas of analysis and visualization of the properties of molecules and structures have led to advances in quantum mechanics/molecular mechanics (QM/MM) simulation. Petitioner’s advances in 3D visualization allow computational chemists and chemical engineers to improve comprehension and make better informed decisions based on the output from these more accurate quantum mechanics (QM) treatment of active site portions of protein and ligands. These advances in understanding enzymatic mechanisms benefit the U.S. economy and improve health care by contributing to improved rational drug design. Petitioner has made substantial contributions to the visualization and analysis of materials simulation data. Computer science semantic web, federated architecture, service computing, and security. USCIS approved a National Interest Waiver petition for a postdoctoral research fellow working in the field of computer science. Petitioner works in the area of semantic web, federated architecture, service computing and security. The importance of petitioner’s research is her creation of intelligent software applications. Her work enables software to have accurate and advanced searches as well as ranking and integration of data. It is critical for distributed federated applications to be able to analyze the structure of information and correctly align it to prevent anomalies and provide for intelligent searches. As part of her research work, petitioner has successfully used graph and data mining algorithms to enhance the overall information retrieval performance of web applications. She has developed and implemented special algorithms and techniques for the creation of a novel ranking system for ranking ontologies applicable to very large data sets. Her work removes the restraints and constraints of using single machines. These algorithms for ontology computations have greatly improved research in the fields of bioinformatics for gene ontology and disease ontology. USCIS approved a petition for a computational scientist studying the problem of dynamic meshing for large-scale simulations of physical systems with highly evolving domain boundaries to provide predictive computer simulations. The NIW petition recognized the scientist’s role in accurately simulating complex large-scale engineering systems such as airplanes, automobiles, and rockets. This research will provide the accurate prediction of the performance, reliability, and safety of complex physical systems through advanced computational simulations. The practical applications include the improvement of engineering designs for the following physical systems: shape optimization for accelerator cavities, rotating helicopter blades, burning propellant in rockets, projectile penetration, metal forging, and airflow around wings. The beneficiary’s I-140 petition was approved in 182 days. Has played a crucial role in inter-disciplinary research projects focusing on how computational sciences can be used to address biological questions. USCIS approved a petition for a Research Assistant Professor who has conducted several groundbreaking studies that have a direct impact in translating basic computer science algorithms to dental clinics. Her research directly influences U.S. Health Care, as it translates computer methodology in response to clinical question and improves patients overall quality of life. Works in the fields of computational science and engineering. USCIS approved a petition for a Postdoctoral Research Associate who has significantly contributed to innovative and groundbreaking research in the area of fractional calculus. Main research focuses on developing fast and highly accurate global schemes, such as spectral and spectral/hp–element methods, for Fractional Ordinary/Partial Differential Equations (FODEs/FPDEs).